Limiting pasture intake is recommended for obese horses and ponies and those at risk for laminitis. This can be difficult to do if horses have access to pasture full-time or when, for example, stabling is not an option. Grazing muzzles are a valuable tool to limit pasture intake in horses and ponies and, when properly used, can help to limit pasture intake in those that are obese or prone to obesity with access to pasture. 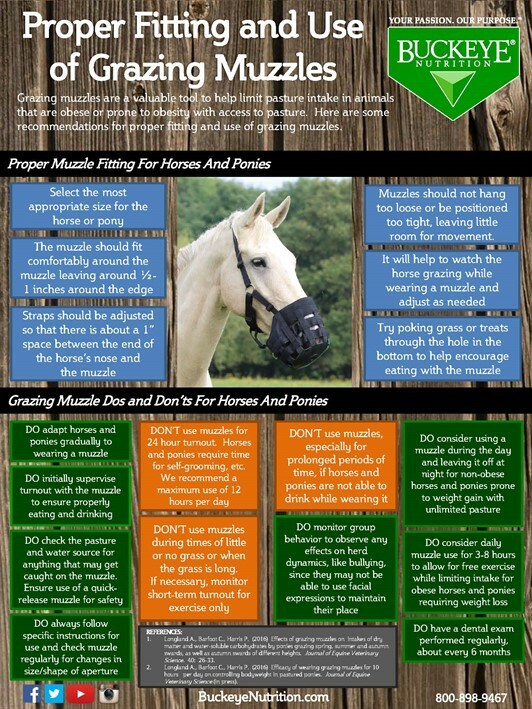 Here are some recommendations for proper fitting and use of grazing muzzles.